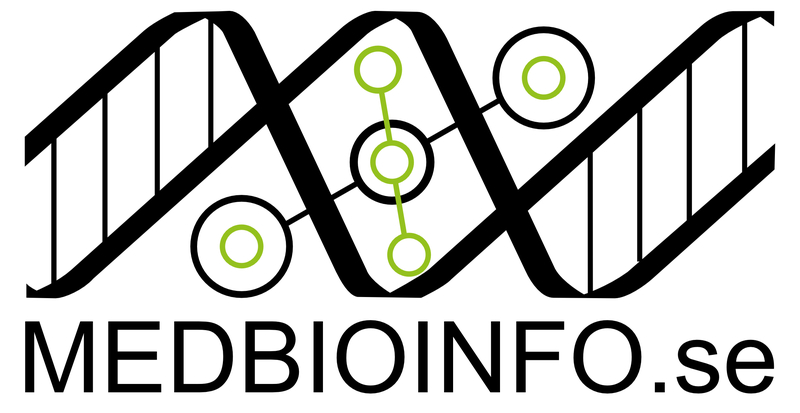 I am pleased to announce that the MedBioInfo logo contest winner is Tejaswi Venkata Satya Badam, of the Lubovac lab, University of Skövde. Our warmest congratulations. I have already ordered the single board computer of Tejaswi’s choice. I would also like to thank the two runners-up, Joseph Bergenstråhle and Rasmus Magnusson, for excellent entries. I think I can say that each of the three designs was a front-runner at some stage during the extended discussions of the judges. The colors are black and SciLifeLab Green (PMS PANTONE: 376 CMYK: C50, M0, Y100, K0 RGB: R152, G192, B0 #95C11E). Strictly speaking we are not a SciLifeLab entity, using this color is a matter of convenience. 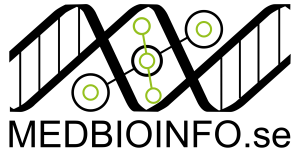 The key creative ingredient, the DNA with interlocking “MED” and “BIO” networks, was made by Tejaswi. After the winner was decided by the judges, I reoriented and made minor modifications in communication with Tejaswi. The logos are posted below. 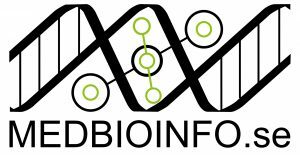 They may be used for MedBioInfo related activities and communications as appropriate. Application deadline is 28 February 2018!